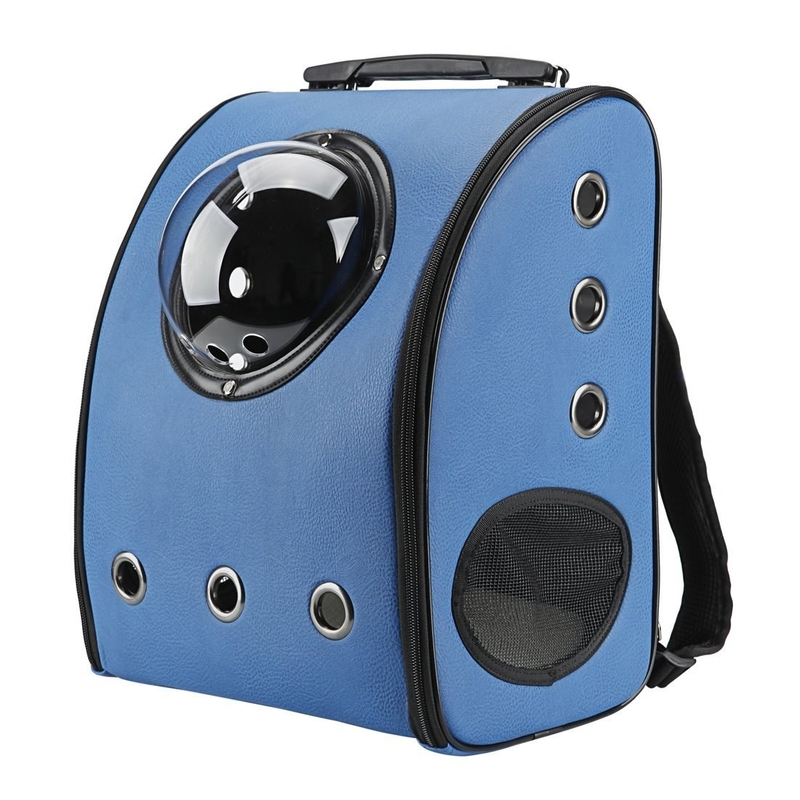 For obsessive dog parents, obviously. 1. A stocking that comes with everything you need to make a pup happy. Comes with "St. Lick's" stocking, a pretzel chew, chicky twizzies, a beef jerky stick, and a spirit stick pork chew. Get it from BarkShop for $20. 2. 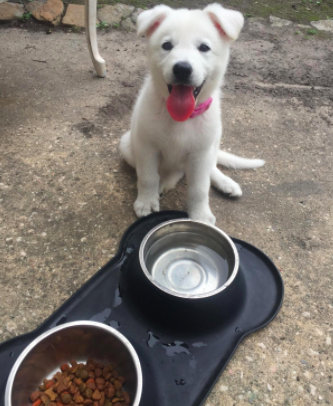 A bowl that'll speak to your pup's inner wolf. 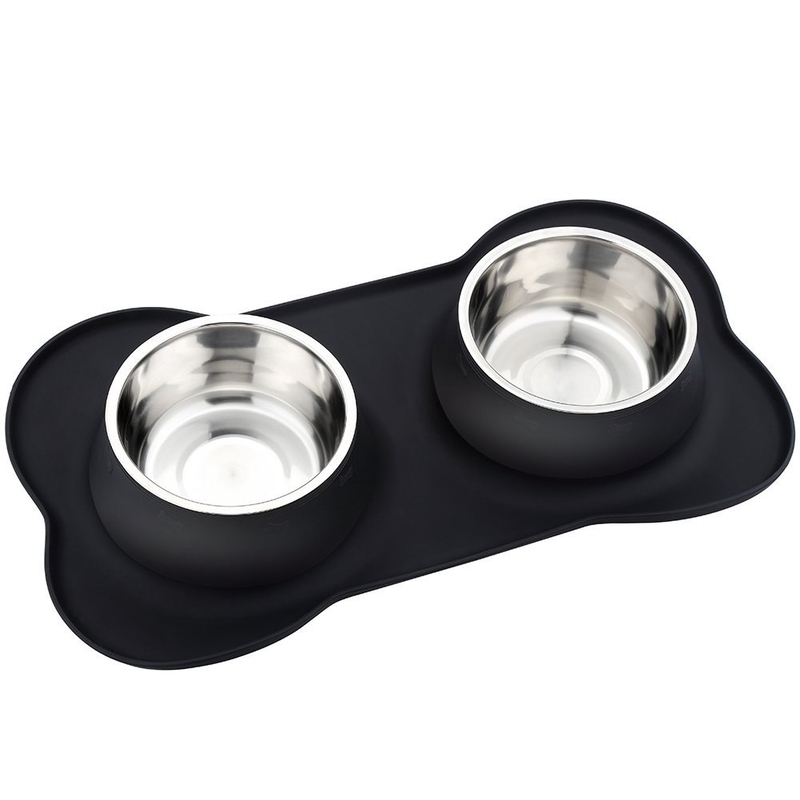 The shallow bowl is ideal for dogs who get food all over themselves if they use a deep dish. Get it from Billy Wolf for $18. 3. A set of hide-away cookie soft toys that your dog will love prying from the milk plush. Get them from The Dapper Dog Box shop for $13. 4. A treat-filled tin that'll be as adorable as it is functional. The tin is covered in original illustrations by Dave Coverly, and comes with two bags of American-sourced chicken jerky. Get it from BarkShop for $30. 5. 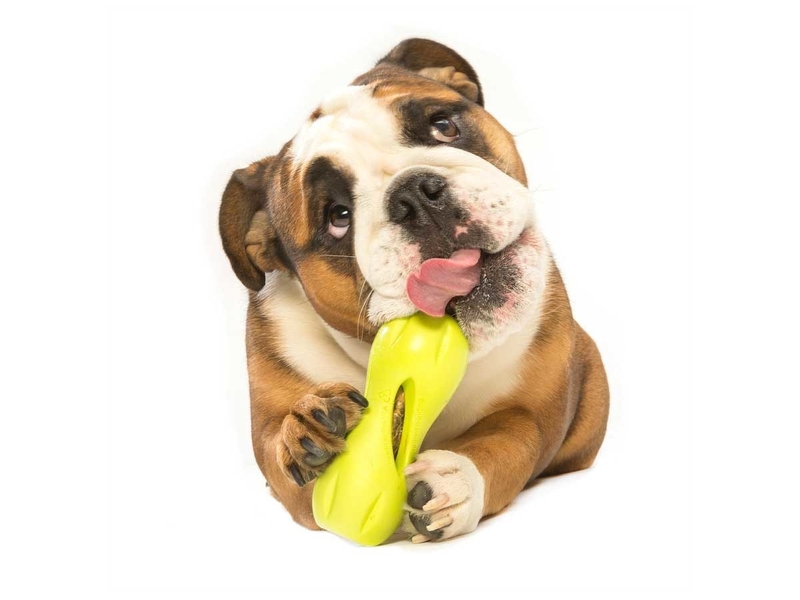 An ornament-shaped treat-dispensing toy that's biodegradable, made with natural rubber, and 100% USA made. 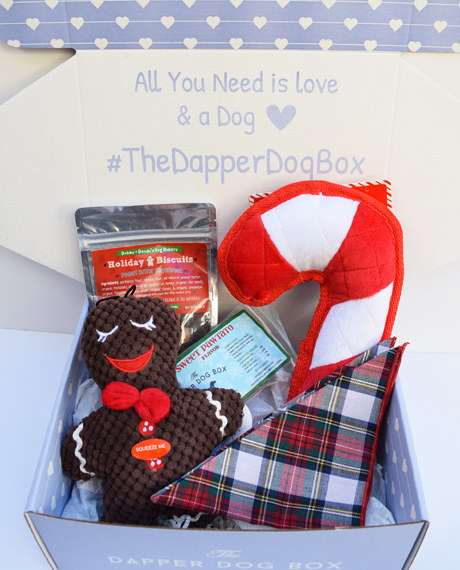 Get it from The Dapper Dog Box for $8.99. 6. A jumbo paw-shaped stocking that'll be more anatomically accurate than the typical sock-stocking. It's also easier for your dog to grab the treats and toys out of! Get it from Petco for $9.69. 7. A paw-shaped silicone mold for making special treats for your pup! Okay so maybe this isn't so much for your dog's stocking BUT your dog will appreciate all the treats you make from them. You could make a bunch of treats and give them to other dog owners for easy, cheap, and thoughtful gifts, aka the best kind. 8. A toy that's made from ZogoFlex, a fancy material that's BPA-free, latex-free, phthalate-free, recyclable, and FDA compliant. Also, if you ever need to throw the toy away, you can send it to West Paw and they'll make new dog toys out of your old ones. Get it from Amazon for $13.95 (available in two sizes and three colors). 9. A treat-hiding toy that's so indestructible they'll send you a new one (for free!) if your dog manages to destroy it. Obsessed with Zogoflex? SAME! 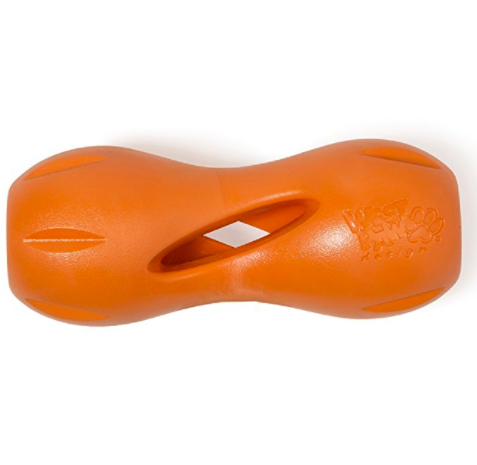 This is West Paw's most durable toy that's made to stand up to even the hardiest of power chewers. Get it from Amazon for $14.95+ (available in three colors and two sizes). 10. A snuggly Disney bed that won't fit in the stocking but your pet will love it *almost* as much as you love Disney. Give your dog the snuggly sleep they deserve. Get it from Target for $39.99+ (available in two colors and two sizes). 11. A "Bark Brew" plush toy to match your own coffee addiction. Get it from Target for $7.49. 12. 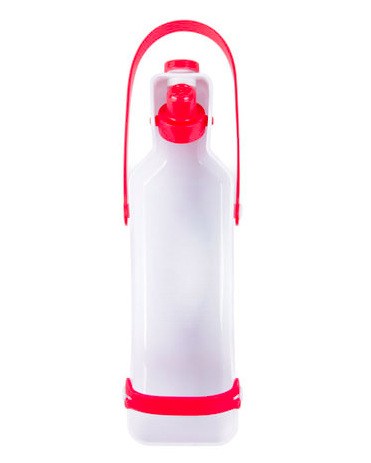 An adorable and practical water bottle cover that can double as a pet bowl. It's even got a handle for easy carrying. 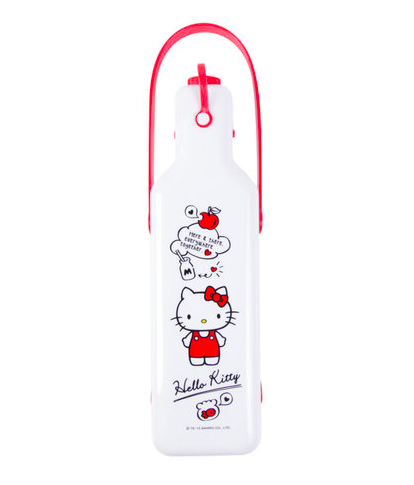 Get it from Sanrio for $14. 13. 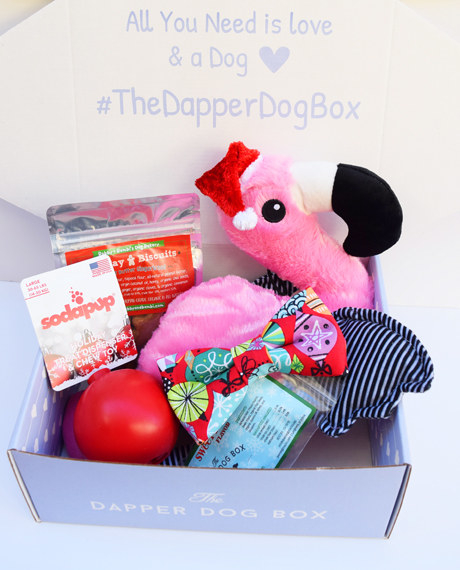 Or if you're mailing a gift to another dog lover, here's a gift box with everything you need. It comes in multiple sizes and two versions so you can get just the right fit. 14. A combo rope and stuffed "Dog Perignon" toy that'll definitely be their new fave. Why should your dog miss out on the NYE fun? Get it from BarkShop for $14. 15. A chic dog tag silencer if your dog's jangling tags wake you up at night. A thing you never knew you needed. 16. 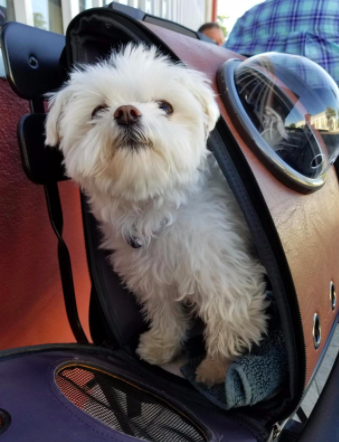 A backpack that won't fit in a stocking, but will make bringing your dog everywhere easy and adorable. Another present that's more for you than for your pup, but just think of all the Instagrams!! Get it from Amazon for $69.99+ (available in eight colors). 17. A bag of freeze-dried raw duck treats made in the USA that your dog will go nuts for. They come in five different flavors so if your dog isn't a duck fan, they'll definitely love one of the other kinds. Get them from Amazon for $9.99+. 18. A bone-shaped set of dog bowls for making dinner time about more eating and less mess-making. Got a messy eater? Or a dog who "travels" when they eat? Solve both problems with this bone-shaped set of dog bowls that grip the floor and help catch crumbs and kibbles. Get them from Amazon for $18.99 (down from $43.99). 19. 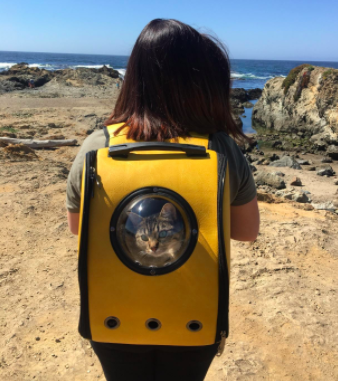 A highly rated, front-facing pack, because you never want your pupper too far away from you. 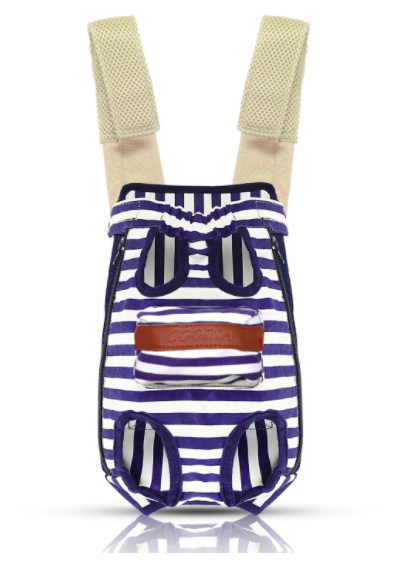 The pack can be tied at the back in two ways, has a little front pocket perfect for poo-bags, and will give you a lifetime of smiles from passersby. I urge you to check out the user-submitted pics! Get it on Amazon for $16.79 (available in four sizes and three colors).